The Sahara Desert landscape, which covers about 65 percent of Niger, is made up of endless stretches of shifting sand dunes and broad gravel and stony plains. In years when the monsoon rains reach the southern Sahara, the wadis of the Aïr Massif and the plains of the Tamesna (TAM) are relatively more productive than the surrounding plateaus. To the south, the rest of the country is located within the Sahel, a transition zone between the desert and tropical West Africa. Across central Niger, from the Malian border to Chad, the pastoral zone of the Manga (MA1 and MA2) and Azouak (AZ) regions forms a wide strip of steppes and savannas. The Maradi-Zinder region (TRK and GLB) constitutes the largest agricultural region of Niger. 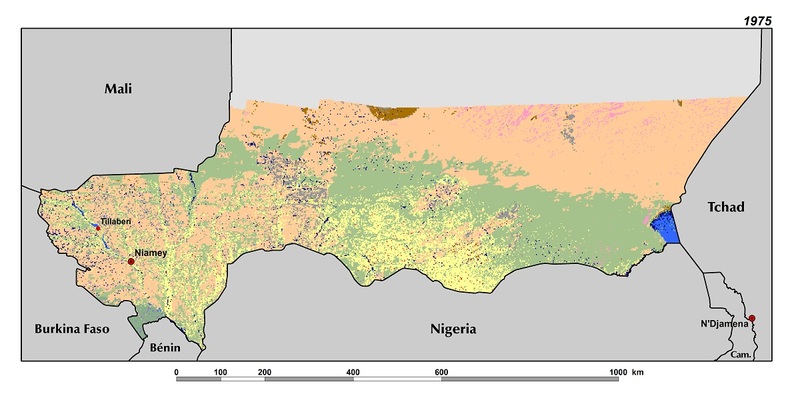 In these ecoregions, the average bioproductivity gradually increases toward Niger’s southern border, where farmers are conserving trees in their fi by encouraging natural regeneration. 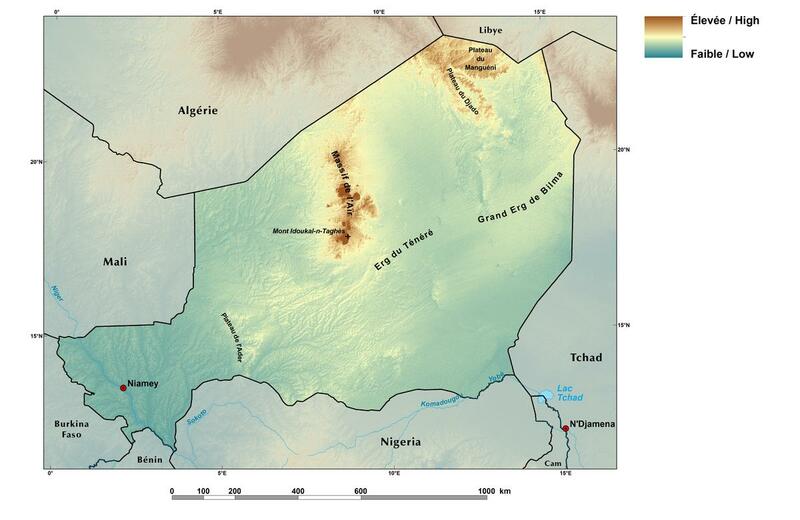 In western Niger, the productive ancient alluvial valleys of the Bassin des Dallols (BD) contrast with the less productive steppes and tiger bush of the surrounding plateaus and terraces.